The member was questioned at a station outside of their division while detectives conducted a search of his home. 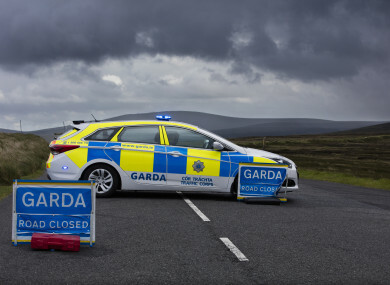 A GARDA SERVING in Munster has been arrested and questioned in connection with an ongoing investigation into alleged criminal offences, gardaí confirmed. Dublin–based officers travelled to the garda’s home and arrested the officer in a planned operation. It is as yet unclear if anything of an evidential value was recovered during the search of the property, and gardai have been asked for further information. A source described it as “very serious” and “obviously very sensitive”. It’s understood the investigation is being led by Dublin-based detectives and that local gardai were not informed. In an official statement, a garda spokesman said “a garda member was arrested on 23rd January and detained” at a garda station. The garda was held “in relation to the investigation of a criminal offence…and released without charge on Thursday morning, 24th January”, the statement added. Gardai are currently preparing a file for the Director of Public Prosecutions (DPP) in relation to matter. The DPP will then ultimately decide whether or not charges are brought against the officer. Email “Garda questioned over probe into alleged criminal offences”. Feedback on “Garda questioned over probe into alleged criminal offences”.